"A minor penalty for hitting from behind before the last 10 minutes of a game results in a 2 minute penalty and game misconduct. The player is eligible to play in his team's next game. A major penalty for hitting from behind automatically results in a five-minute peanlty and a game misconduct plus a one game suspension. 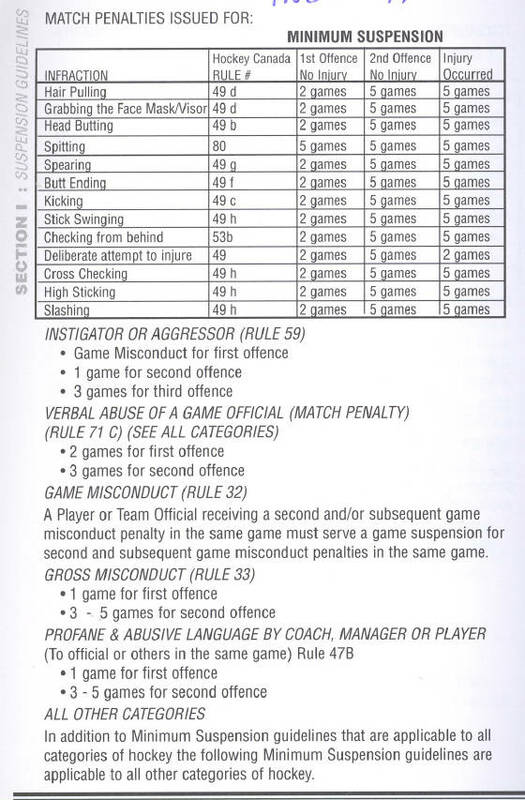 A minor penalty for hitting from behind in the last 10 minutes of a hockey game results in a two-minute penalty and game misconduct, therefore, the penalized player must sit out his/her teams next regular season game."